"The Shockingly Simple Secret Hidden Within Think & Grow Rich." When I share it with you...you're not going to believe how obvious it is! - Why the 'secret' isn't what most experts claim it is. - Why the 'false gurus' will eventually lose it all because of not knowing about it. 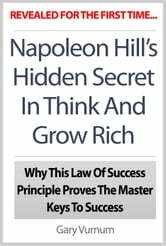 - Why a line written by Napoleon Hill some 9 years before Think and Grow Rich gives it all away. - Why the 'secret' is nothing to do with money, your abilities, or in fact anything to do with YOU whatsoever! 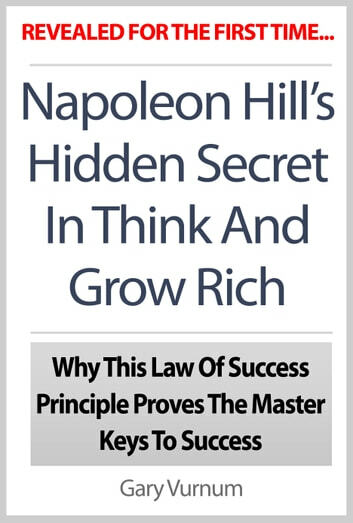 - The proof from Napoleon Hill himself that proves it beyond doubt. This book is very short but it breaks down and simplifies that which Napoleon took two whole books to elaborate. You may find the need for this book even if you have read Napoleon Hills books. By the same note, you will want to read Think and Grow Rich and Laws of Success in order to understand how to apply these basic principles to your life. Learn from this book like you would a Cole's Notes, but don't forget to refer to the original works. Well written but most of it is excerpt of Think and Grow Rich. I think for 22 pages, it should be a dollar cheaper but nonetheless I don't regret purchasing it. Respect and kindness is the key! This principal has always been impressed upon me by my mother. I truly do believe that you reap what you sow. But is not the entire summary of the napolean hills classics. Helps in shaping some of your thinking and can be put into practice immediately.